Abacus has a Mileage Calculator Feature that is by default enabled for your company. Administrators can go to their Optional Feature Settings and either disable the feature or adjust the reimbursement rate. We default to the current IRS rate (which automatically updates) but it's simple to apply a custom one. Create a new Expense and set the merchant to 'Mileage'. 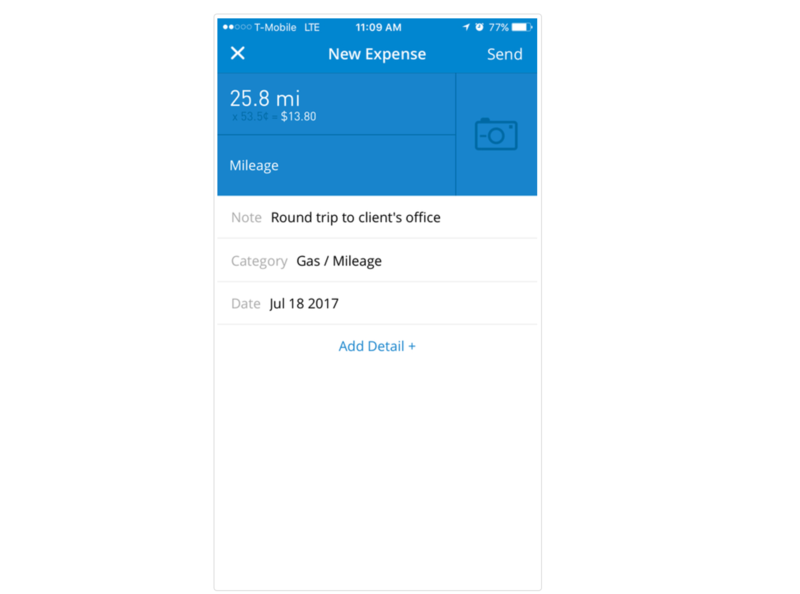 This will automatically bring up a calculator that will apply the reimbursement rate to the number of miles you are expensing. The user must calculate the mileage on his or her own, and enter in the number of miles for the trip in Abacus. 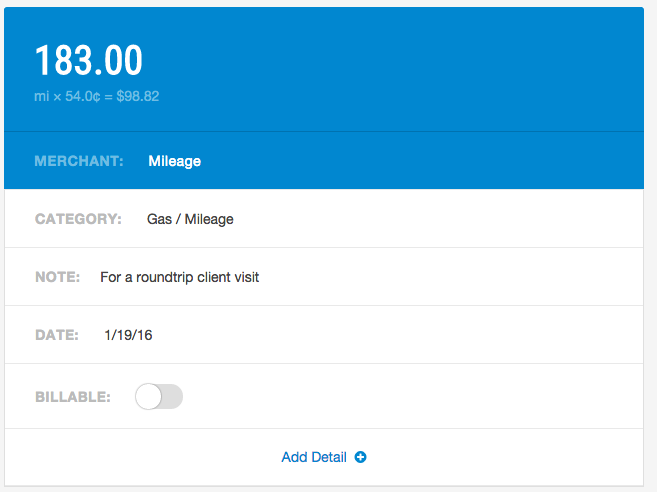 This feature will convert the mileage to the reimbursable amount. Users can calculate mileage right in Abacus using GPS mileage tracking, powered by Google Maps! The total number of miles is determined by the distance from the entered origin to the destination, with an option to select a round trip. The number of miles will be calculated using the most optimal route. 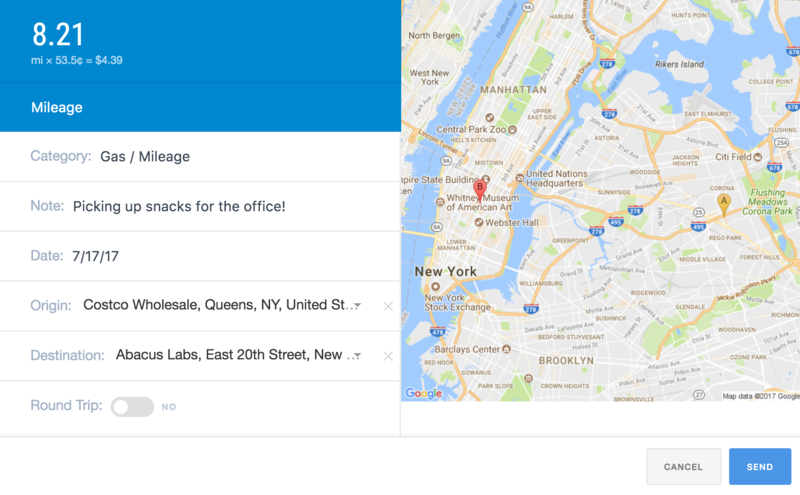 The map image is automatically generated in Abacus. 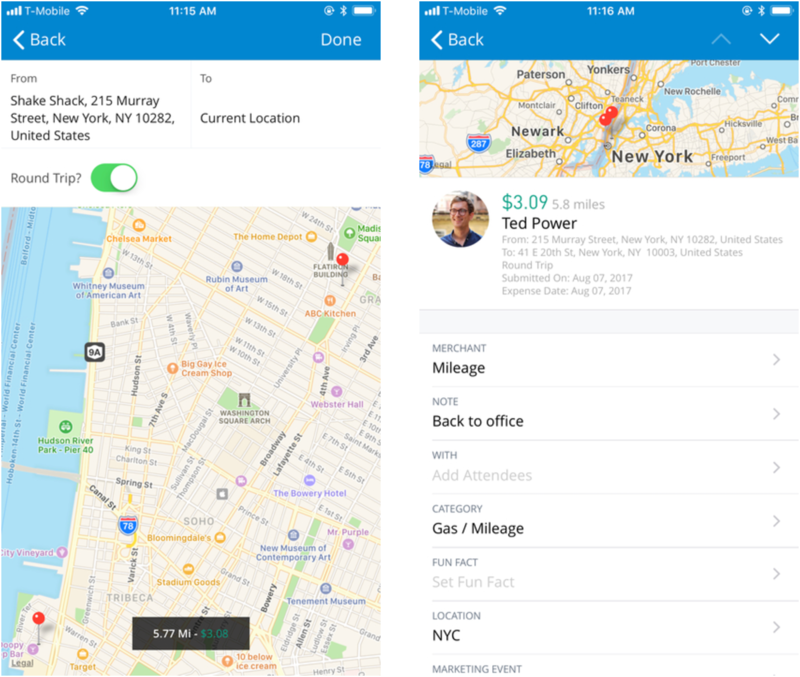 Users will still have the ability to modify and enter the mileage manually, if the optimal route does not reflect the actual number of miles driven.